Billy the Kid, one of the most iconic legends of the Wild West really began in Victoria B.C., and it was John Henry Tunstall’s fault. Starved for adventure and driven to succeed in his ranching and business affairs, young John Henry arrived in Victoria from England in 1872 to make his fortune. John Henry’s father partnered in a large dry goods store located on Wharf Street in Victoria B.C., called Turner, Beeton and Tunstall in 1868. With 50 employees, the store occupied a brick building and they sold everything from carpets to corsets?—?including men’s handmade kid leather gloves that my Great Aunt Gertie Maycock was employed to decorate with fancy stitching. The store’s Big Horn brand canvas clothing was well known among cowboys and gold miners alike, as were their wines, liquors, cigars and mail order service, used by many ranchers throughout B.C. Tunstall Sr. had concerns because profits were declining as Victoria entered a recession between gold rushes. Competition was fierce from the Finlay and Durham Company and young John Henry was encouraged to come to Victoria, develop his business skills and keep an eye on how the enterprise was fairing. At first, John Henry found his father’s partner John Turner, a future Premier of B.C., friendly and hospitable and he lived in the Turner home for a time. However, animosity soon developed. Much of the friction had to do with John Henry being given a business position, while the same opportunity had been denied to Beeton’s son. The tension was escalated by letters John Henry sent home to his father suggesting Turner was a borderline incompetent at business management. Just 19, he was opinionated beyond his experience, set in his ways and difficult to work with. Co-workers found him pompous and condescending. He was slightly built, blind in his right eye and seemingly infatuated with his older sister, Emily. He was, in fact, a social disaster. The common entertainment of the time was a combination of church socials and garden teas that were a regular part of Victorian life. John Henry soon became bored with these activities and he had nothing positive to say about the young ladies he met and described marriage as “an evil however it may befall a man.” An enigma, he felt depressed from loneliness yet he preferred lonely activities. An avid horseman, he often rode off alone to the deserted Gold Stream mining camp. Tintype of Billy the Kid (Nov 23, 1859?–?c. July 14, 1881); believed to have been taken outside a saloon at Fort Sumner, New Mexico in either 1879 or 1880. The original tintype sold in a 2011 auction in Denver for 2.3 million. Reacting to John Henry’s slurs, Turner wrote a harsh letter to Tunstall Sr. complaining about the young man’s insulting manner and poor behaviour. John Henry became convinced there was no future in Victoria. He soon met a sheep rancher named Kimberly, who convinced him there was money to be made in the wool business and John Henry decided to take up sheep ranching in California. On February 18, 1876, he boarded the steamer City of Panama and left Victoria forever. When sheep ranching did not pan out, he moved to New Mexico in November 1876. Young Tunstall started a general store in the town of Lincoln and he also bought a cattle ranch on the Rio Feliz River. One of John Henry’s cowboys was a young man named William Henry McCarty. Lincoln County was filled with Texas ranchers, outlaws and ex-soldiers from both sides of the Civil War and all were well accustomed to violence. Large profits in the cattle business were obtained by securing government contracts to supply beef to the army or government agents. Tunstall failed to realize that he had wandered into a dangerous game of corruption and violence played out by cattle barons and crooked businessmen called the Santa Fe Ring. Tunstall found himself over his head in trouble as he had set his sights on what others considered to already be theirs. 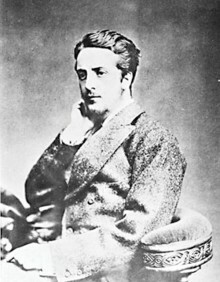 Two years to the day he left Victoria, John Henry Tunstall was ambushed and gunned down by agents of his competition. Tunstall’s murder angered his young ranch hand, McCarty. So much so that McCarty exacted revenge for his friend’s death. Tunstall’s murder and McCarty’s rampage catalyzed the Lincoln County War that would eventually lead to McCarty’s own death in 1881 at the hands of Pat Garrett. 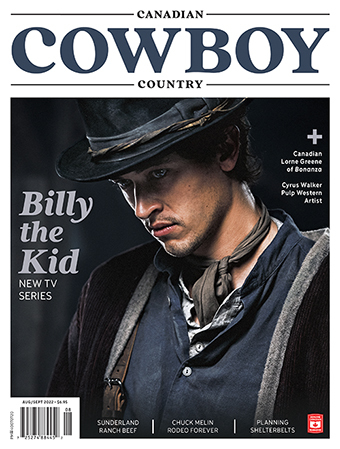 By the time the young cowboy died, he was not known by his birth name but rather as William H. Bonney?—?or Billy the Kid. As it turned out, John Henry Tunstall was wrong about the Victoria business he had abandoned. It flourished and was described in the 1892 Williams Directory as “second to none in the province” and “unsurpassed in honourable methods of business”. The Big Horn garment brand itself carried on well into the 1900s. John Henry Tunstall was both unlucky and cursed with bad judgment, and for a would-be rancher he sure did lack the basics of cowboy savvy. My Great Aunt Gertie, a practical woman, said that he should have stayed in Victoria and learned to run the store; there was a lot less chance of getting shot that way. In retrospect I am inclined to agree with her.